Lafayette County administrative offices are located at 1001 Main Street, Lexington, MO 64067; phone: 660-259-4315. 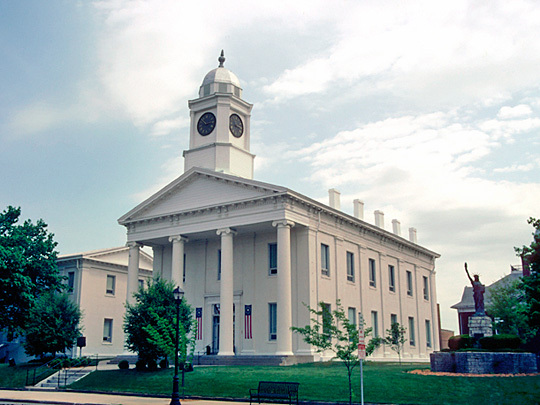 Photo: Lafayette County Courthouse, Calvin Beale, photographer, 2000, U. S. Department of Agriculture, www.ers.usda.gov, accessed April, 2011. Missouri History, www.sos.mo.gov/archives/, accessed April, 2011.